Eminent studio guitarist Albert Lee shares his expertise with aspiring guitarists. Guests include Sterling Ball, Jim Cox and Bob Mater. For intermediate to advanced levels. This video will have you play terrific riffs in no time. 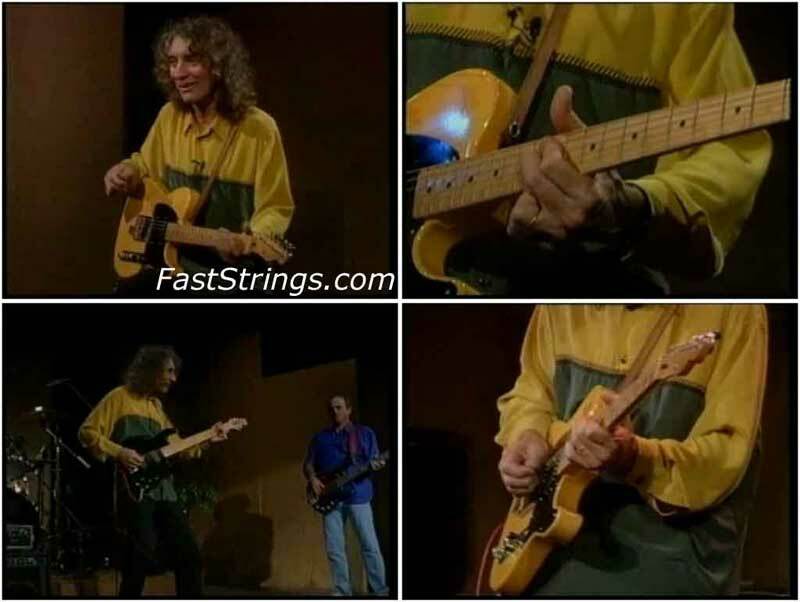 Virtuoso Techniques focuses on the components which make up Albert Lee’s brilliant country style: classic intros and endings, chicken picking, lines using thirds, sixths and tenths, banjo-style picking, open-string rolls, pedal steel-type bends, and more. This video is truly a lexicon of country guitar techniques. If you are going to watch this video make sure you have the tabs, there are a lot of intricate guitar riffs. The video is enjoyable to watch. The licks are not easy and very complicated. The riffs are fast and when slows down, its still fast. If you have a good ear and/or tabs, you could learn some good techniques from this video. Thanks, you know the guitar fever! !